Know the difference between quitclaim and warranty deeds? A quitclaim deed is a legal document that transfers ownership of real estate from one person to another. The deed identifies who is handing over an interest in the property (the grantor) and who is accepting it (the grantee). 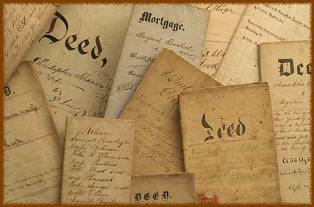 Quitclaim deeds often are used when property isn’t sold. The owner dies and bequeaths it to an heir. The owner adds the spouse’s name to the title. When a former spouse’s name is removed from the title after divorce. A warranty deed is one in which the seller, when transferring the title to you, warrants that he owns the property free and clear of all liens. A grantor is the rightful owner and has the right to transfer the title. There are no outstanding claims on the property from lenders using it as collateral, or from other creditors. The property can’t be claimed by someone with a better claim to the title. If any of those claims is wrong, the buyer is entitled to compensation. A title insurance policy backs up the claims of the warranty deed, protecting the lender or buyer from disputes about ownership or liens.